Habitual Traffic Offender may be able to reinstate drivers license. Call (904) 564-2525 to speak to an attorney. Has your drivers license been suspended as a habitual traffic offender in Jacksonville FL? Are you facing a 5-year drivers license suspension due to prior Jacksonville driving on a suspended or revoked license convictions? If so, contact a Jacksonville drivers license attorney for help. 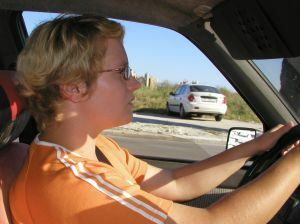 Call a Jacksonville drivers license lawyer at (904) 564-2525 or send an email to Find a Lawyer. An attorney with experience may be able to help you reinstate your drivers license. If you are a Florida habitual traffic offender, your license has been suspended for 5 years due to certain convictions on your driving record. You may have been convicted of civil driving infractions. The most popular civil driving infraction that leads to a habitual traffic offender (HTO) suspension is unknowingly driving while having a suspended or revoked license. You may also become a habitual traffic offender if you received 15 moving violations, such as Florida speeding tickets, within a five-year period. Criminal traffic tickets may also result in an HTO suspension. Knowingly driving on a suspended license is a criminal charge. Jacksonville reckless driving and driving under the influence convictions are also common ways that people become habitual traffic offenders. You received a couple of Jacksonville traffic tickets, and you did not have the money to pay at the time you received the citations. Your drivers license was suspended indefinitely as a result of the unpaid tickets. You continued to driver while your license was suspended. You were pulled over and given a ticket for driving on a suspended or revoked license. You paid the tickets and the late fees and your license was reinstated. A couple of years later, the same thing happened. This time you were convicted of DUI and driving while having a suspended license. You received a letter from the Florida Department of Highway Safety and Motor Vehicles telling you that your drivers license is going to a suspended in 3 weeks as a habitual traffic offender. You had no clue that you were even close to becoming a habitual traffic offender. You did not know that paying your tickets would lead to convictions that would later result in a 5-year drivers license suspension. You did not hire an Jacksonville attorney to handle your tickets. You were never advised by anyone as to the consequences of your actions. If you fall into the example above, you are not alone. The majority of people that I have helped thought that paying their tickets would fix everything, but it ended up leading to convictions that suspended their licenses. Think about the things that you did not know that caused you to become HTO. Now, you have been stopped for driving with an HTO suspension. You are facing a felony. The bottom line is that you probably do not know everything you need to know about this case and the consequences of pleading guilty or no contest to the charge.